The Skills/Levels feature in the Staff Portal allows your staff to track the skills/levels of the students enrolled in their classes without having to have access to your Jackrabbit database to do so. Staff can log into their portal when it is launched from within your database or they can launch their portal remotely through a web address (URL) in a secure, mobile friendly environment on an iPad, iPhone, or other smart device. The choice is yours! See Launch the Staff Portal for further details. 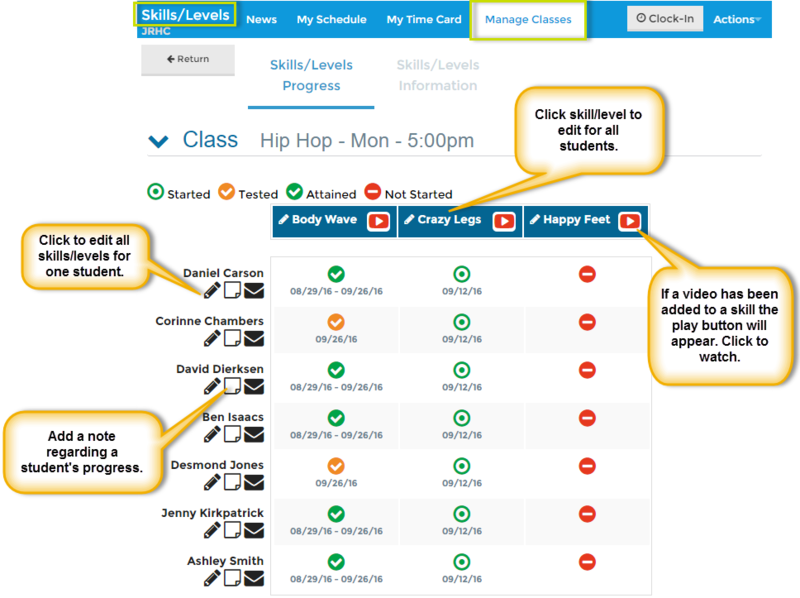 In order to utilize Skills/Levels in the Staff Portal skills/levels must first be assigned to classes in your database. See Students: Skills/Levels for more information.